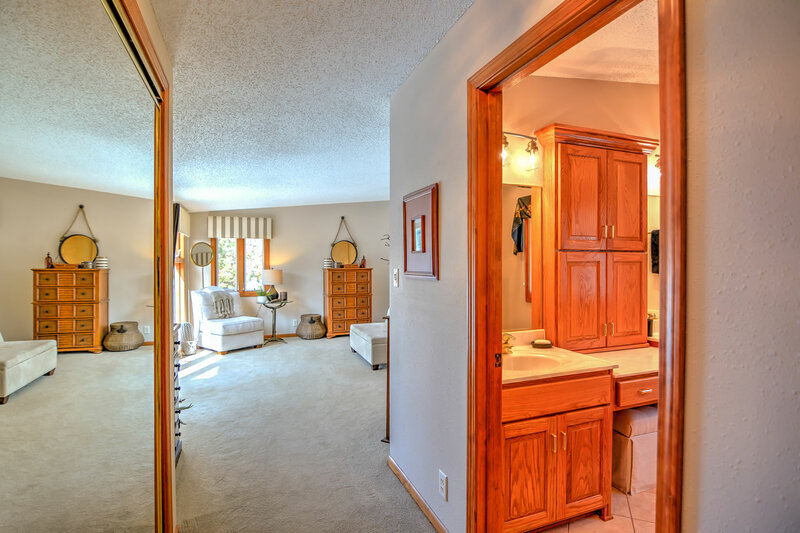 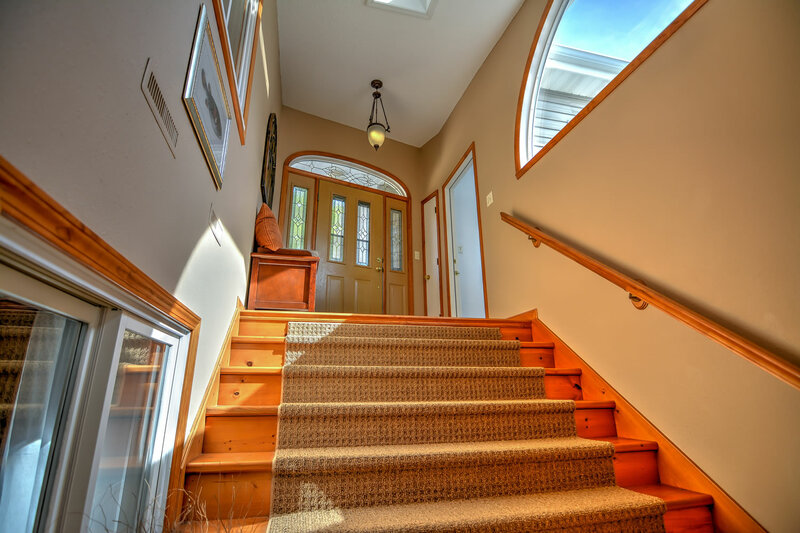 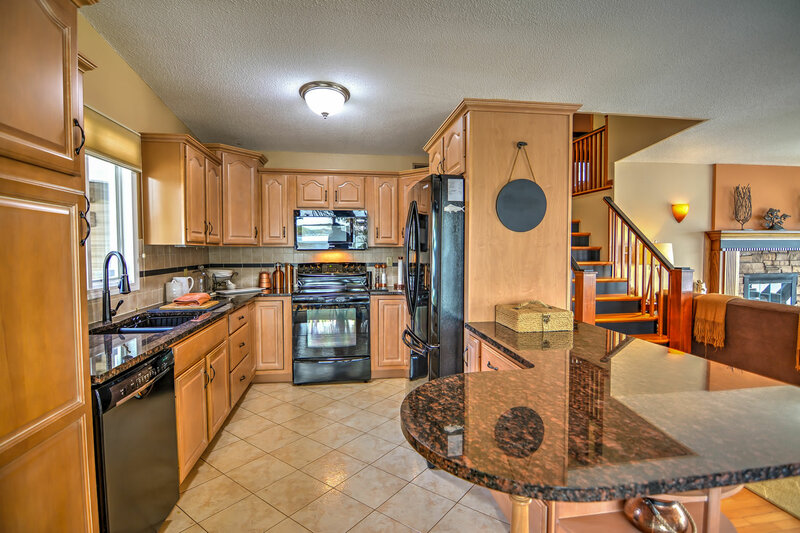 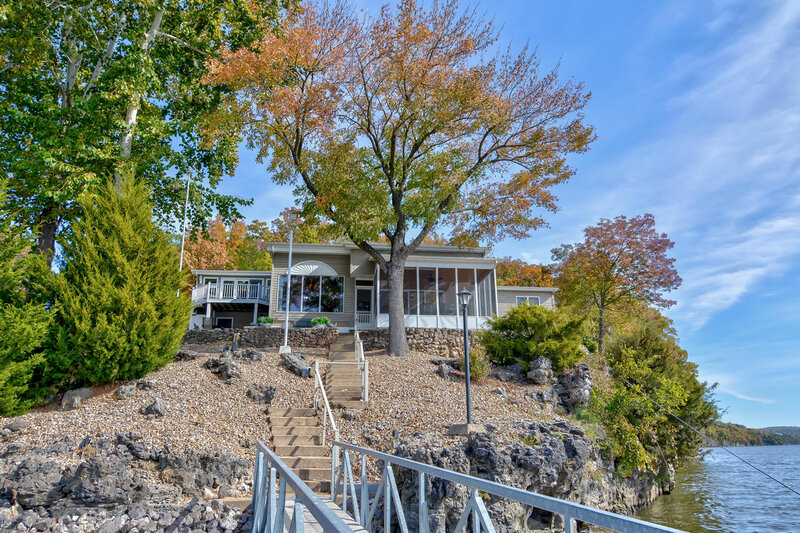 Privacy assured with this meticulously maintained lakeside home, tucked away from the hustle & bustle but only minutes away from all of life’s conveniences. 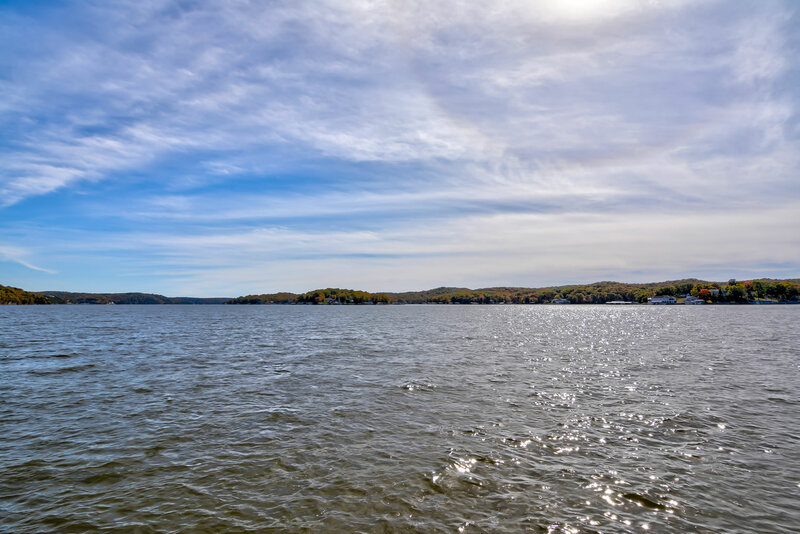 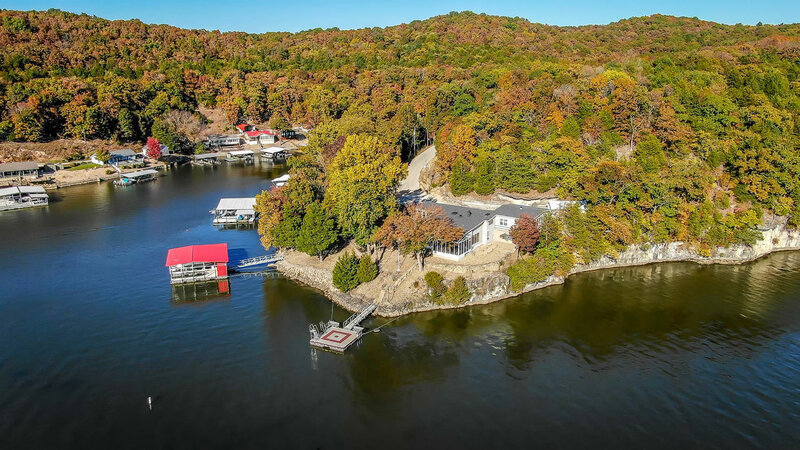 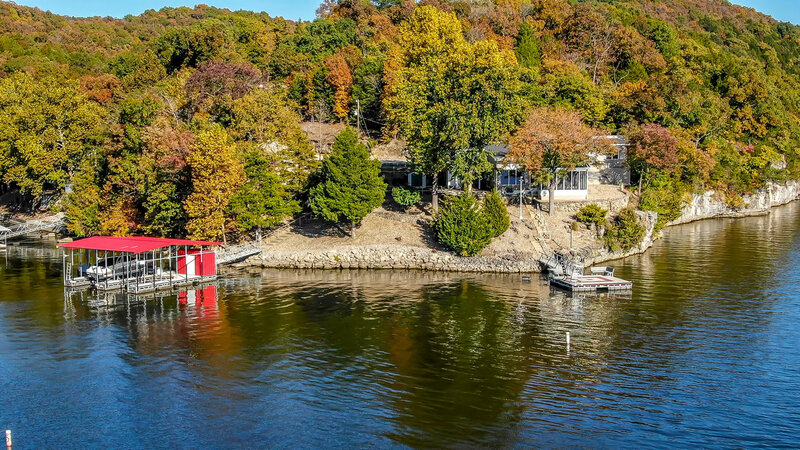 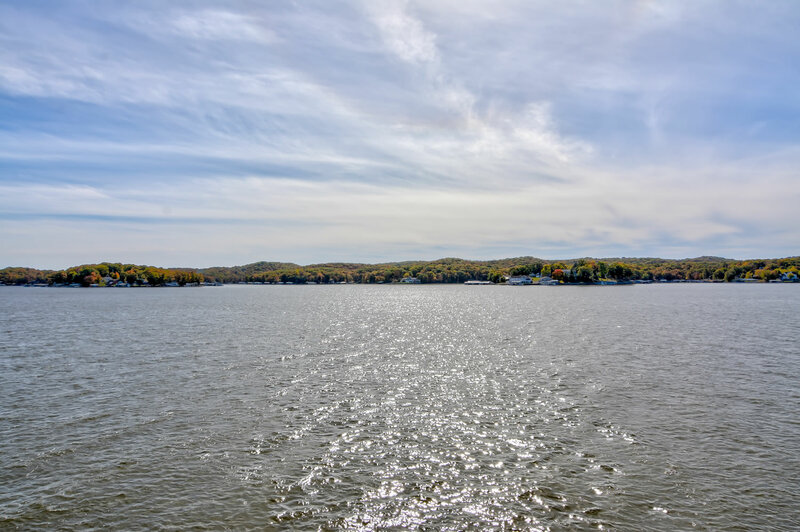 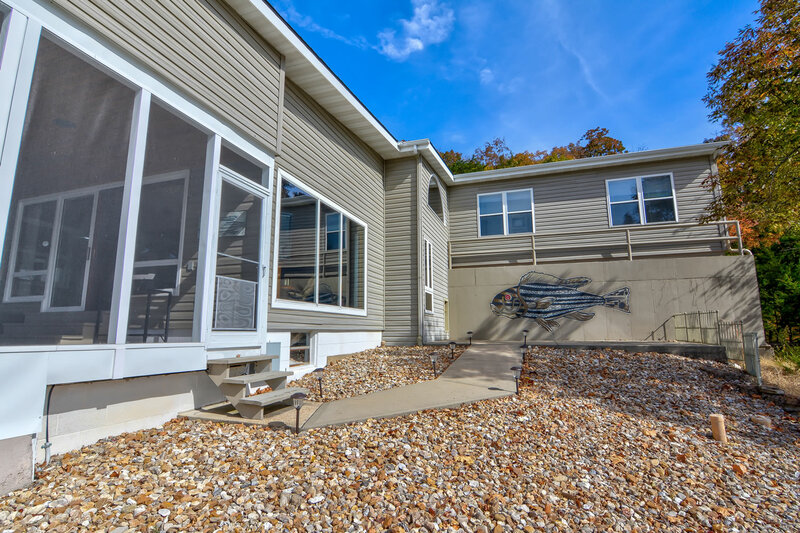 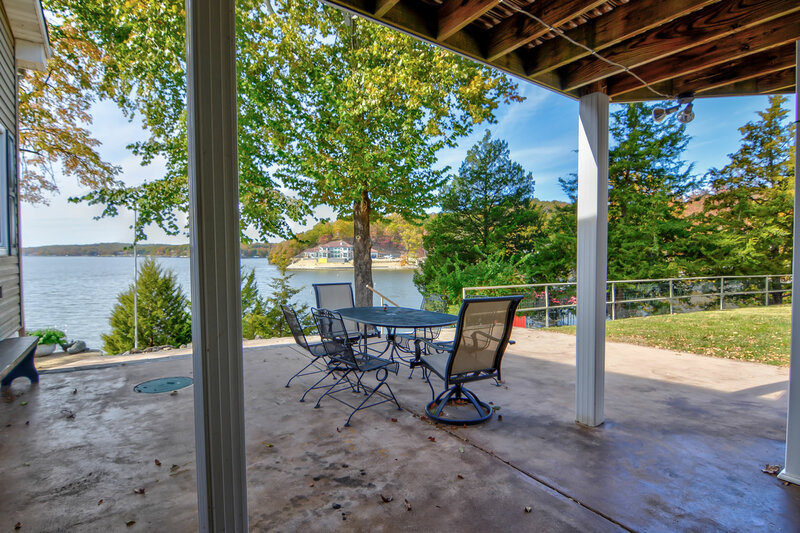 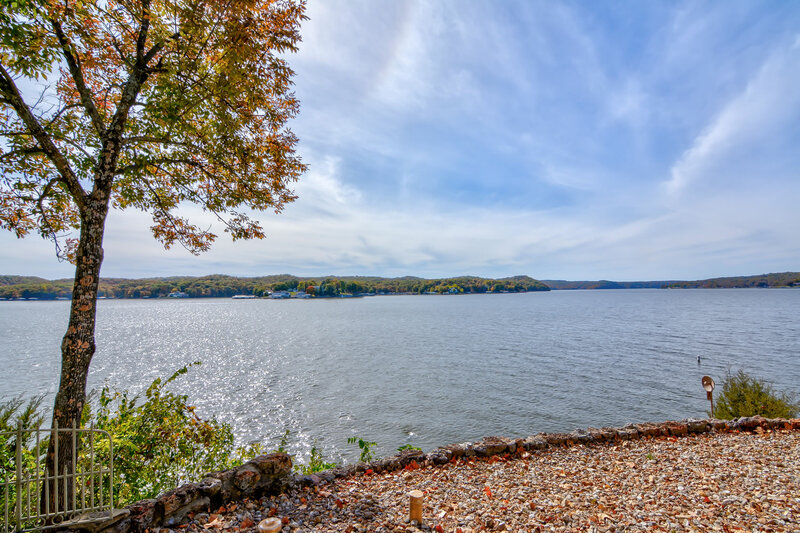 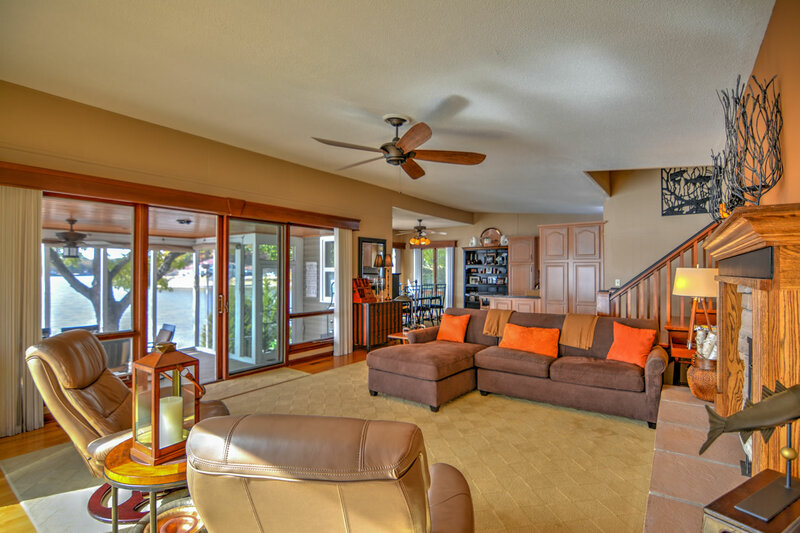 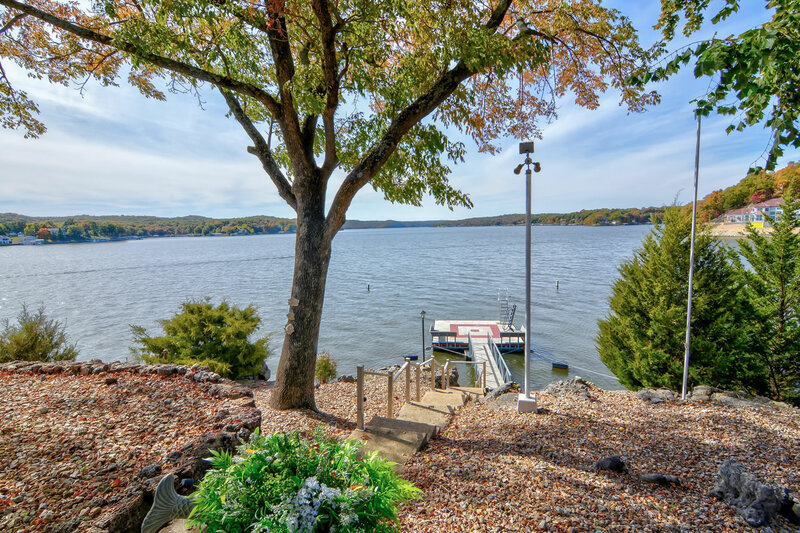 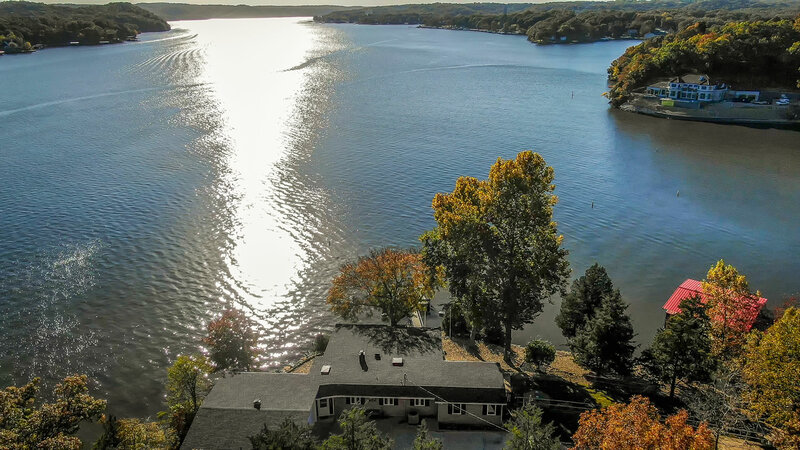 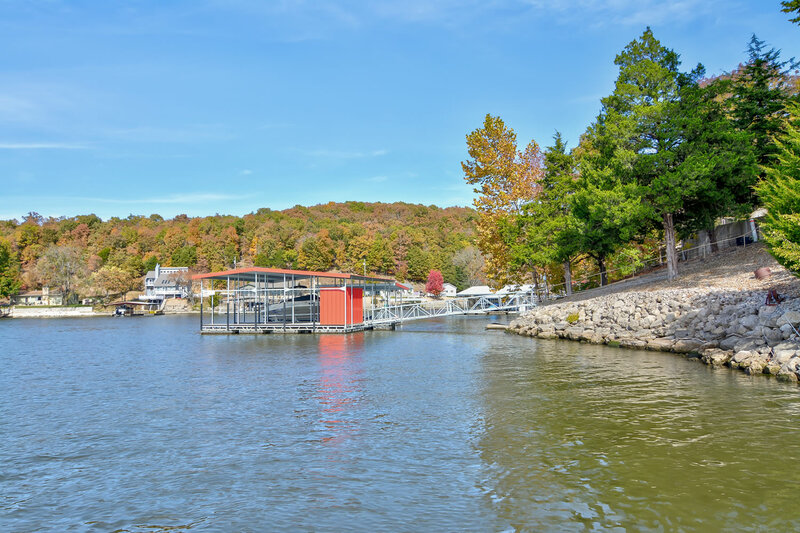 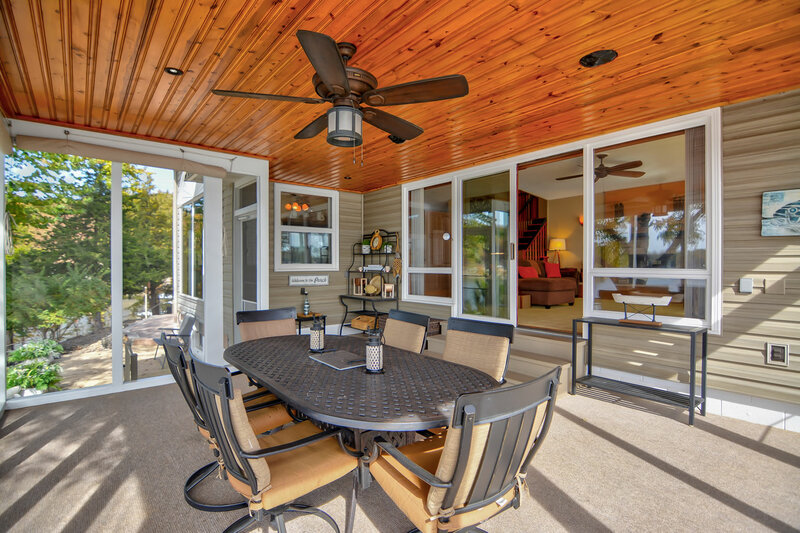 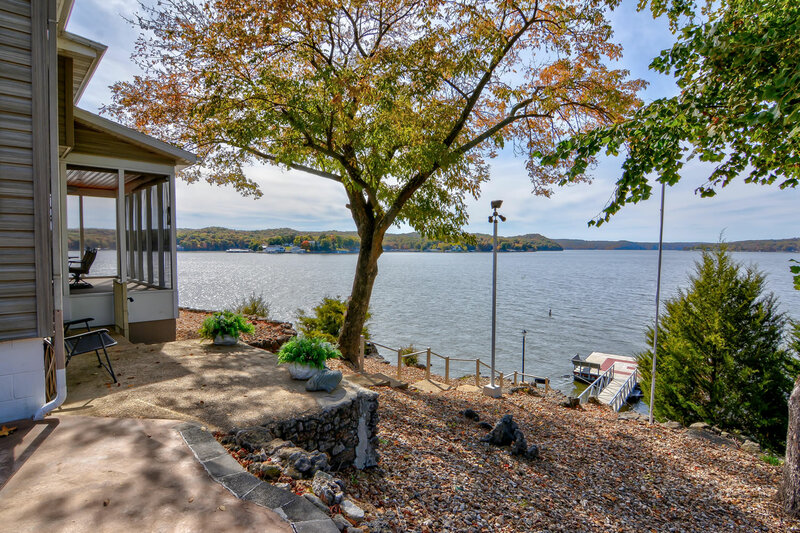 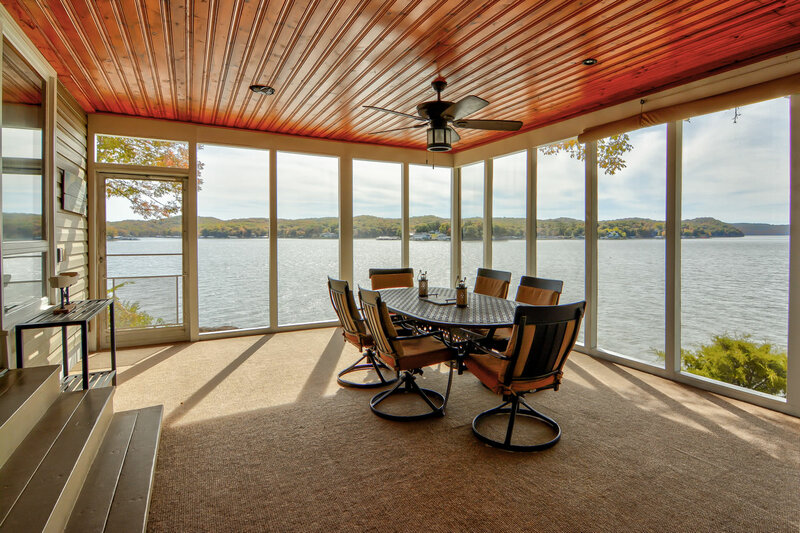 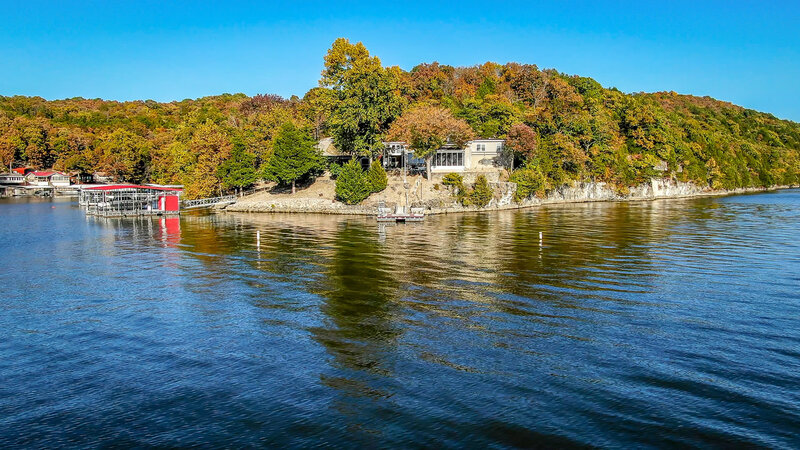 Every time I visit the home I am taken back sitting on the screened porch enjoying the cool lake breeze and unobstructed view of the sun glistening off of Lake of the Ozarks. 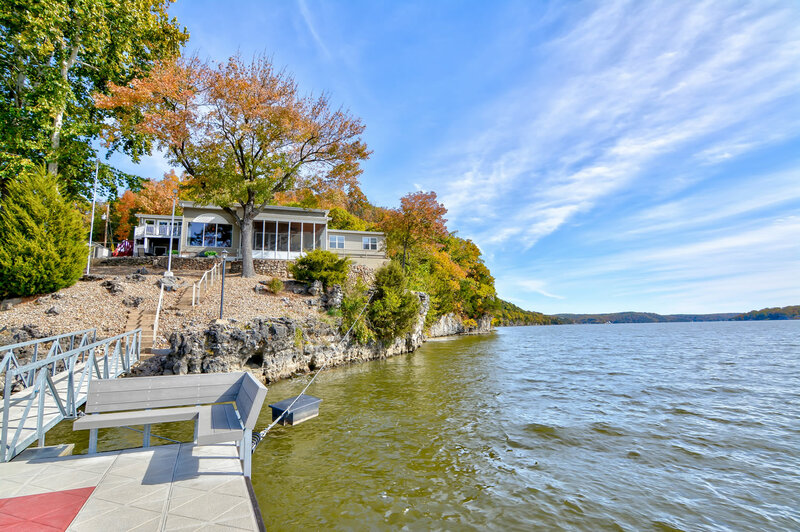 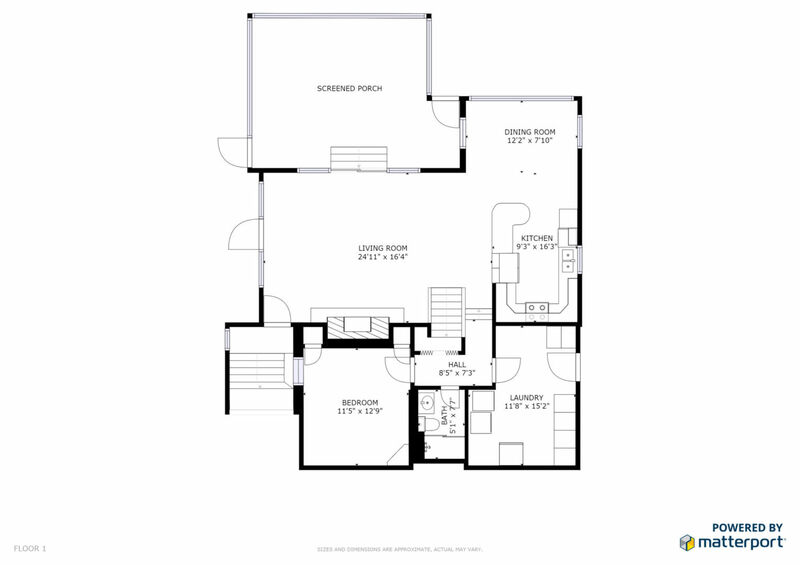 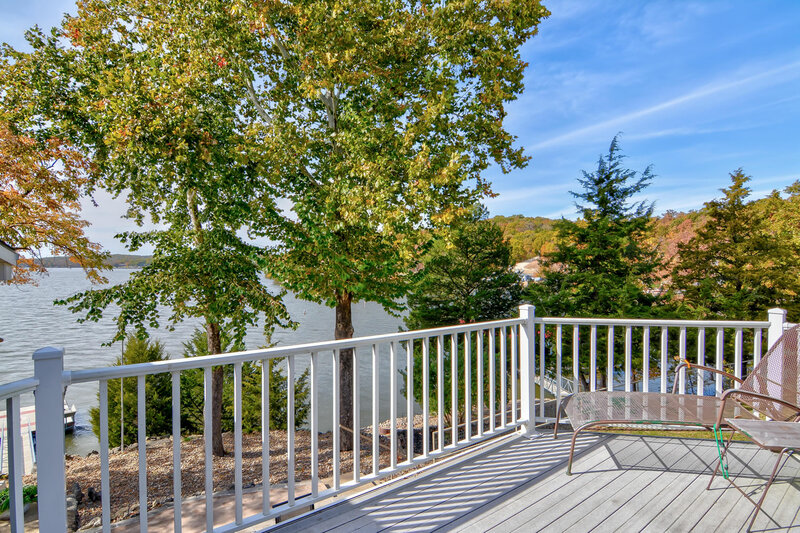 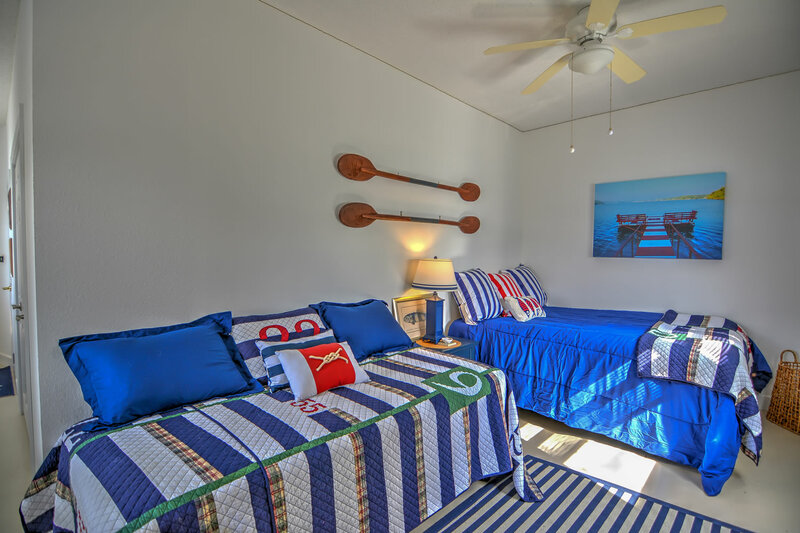 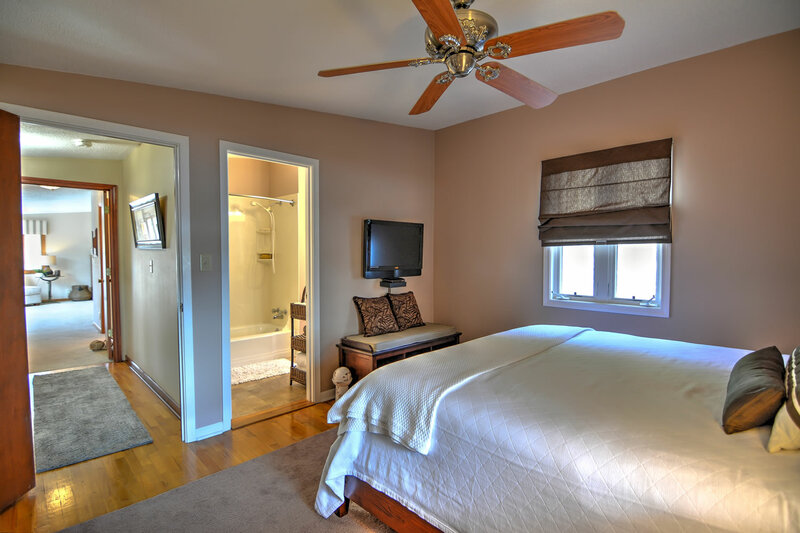 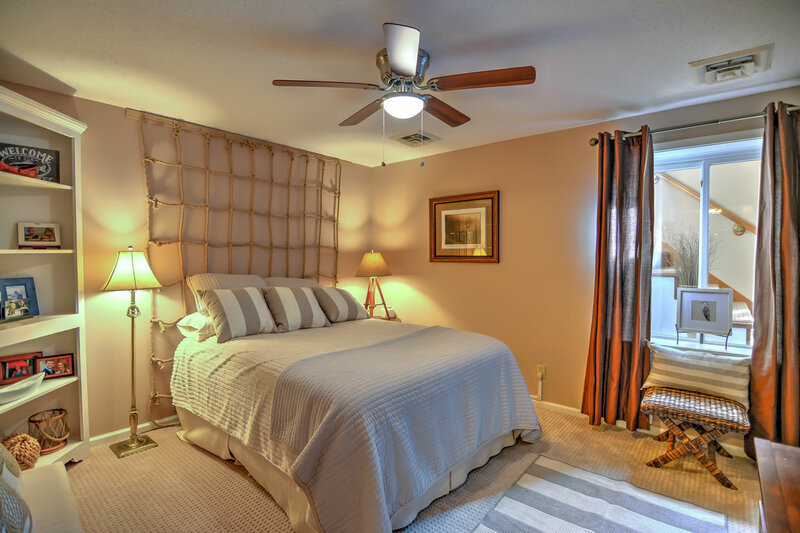 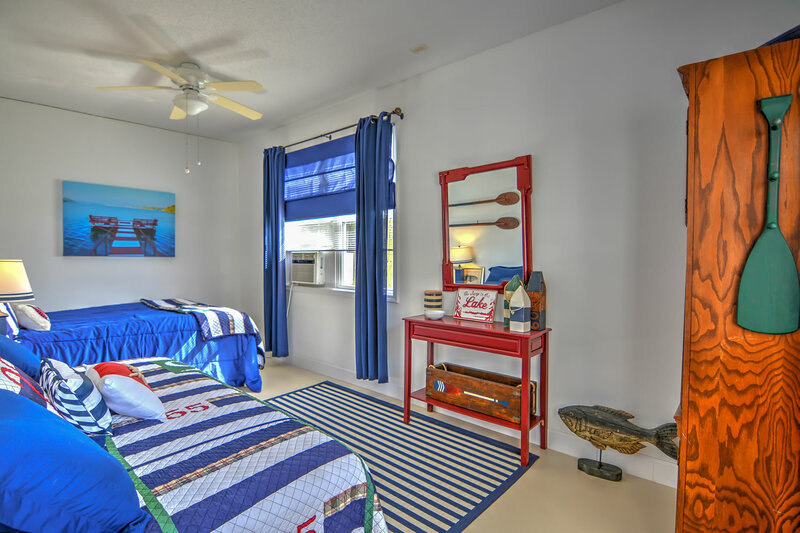 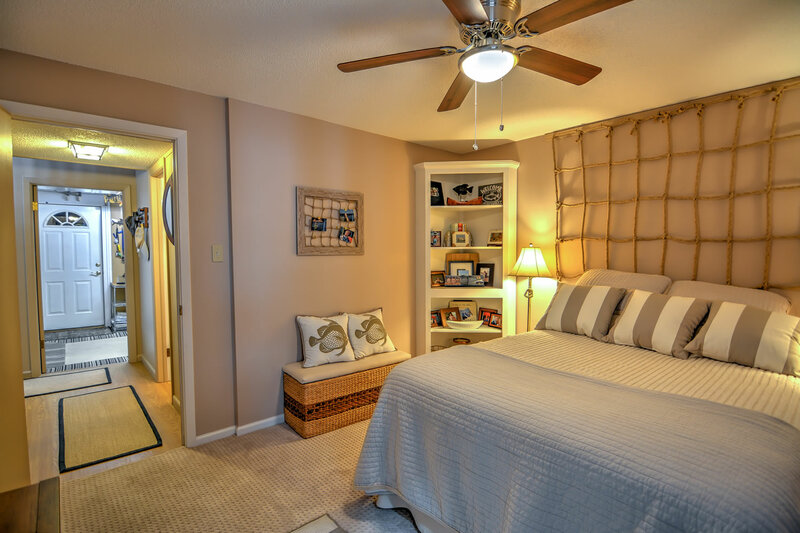 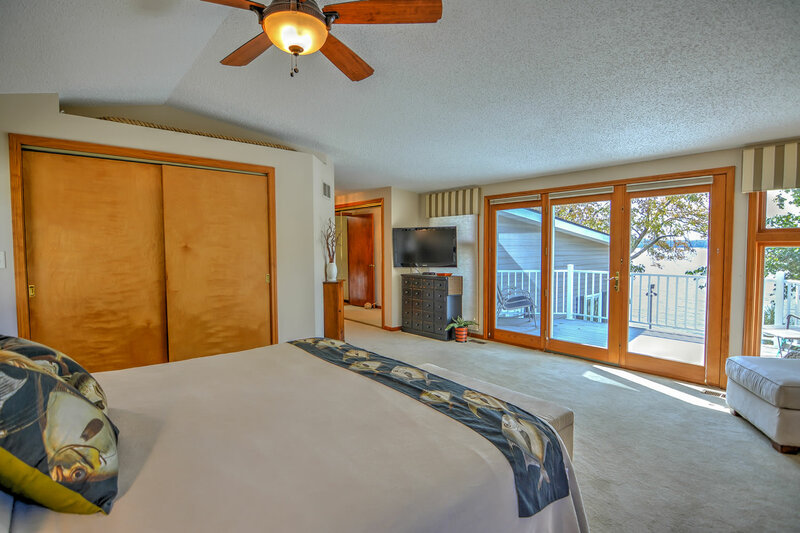 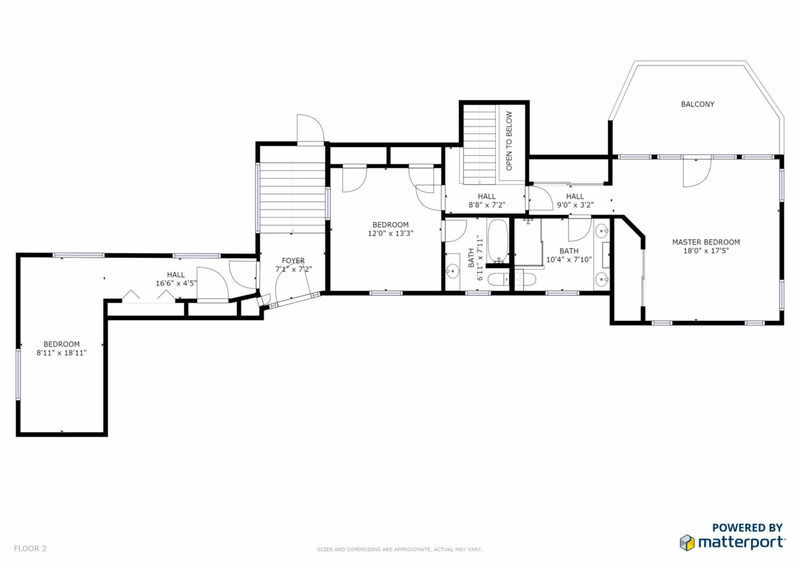 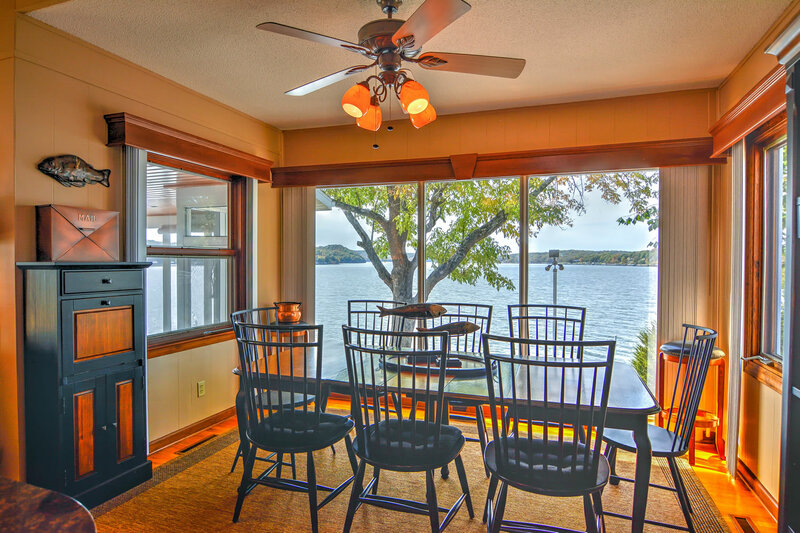 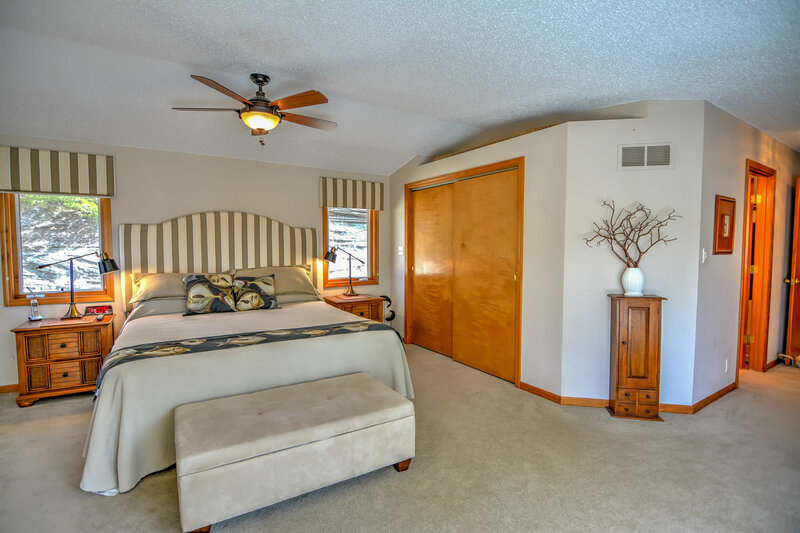 With nearly 400 ft of shoreline and nature as one of your neighbors, you feel you are at a private retreat! 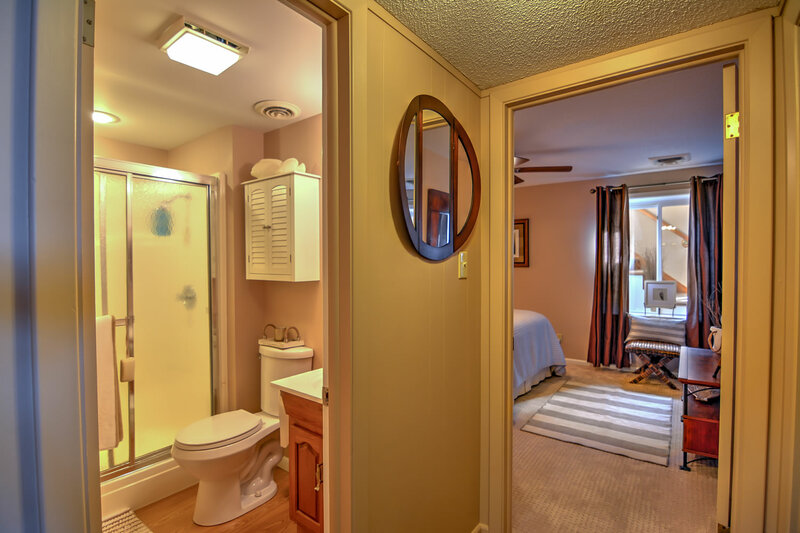 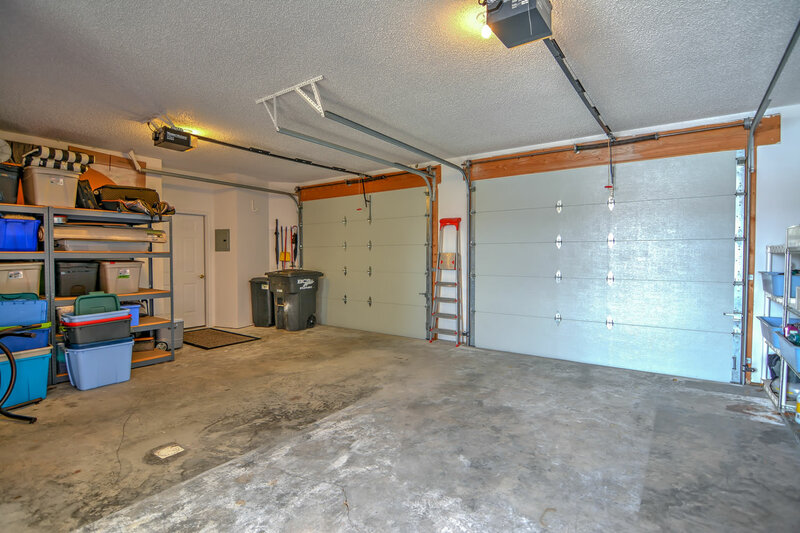 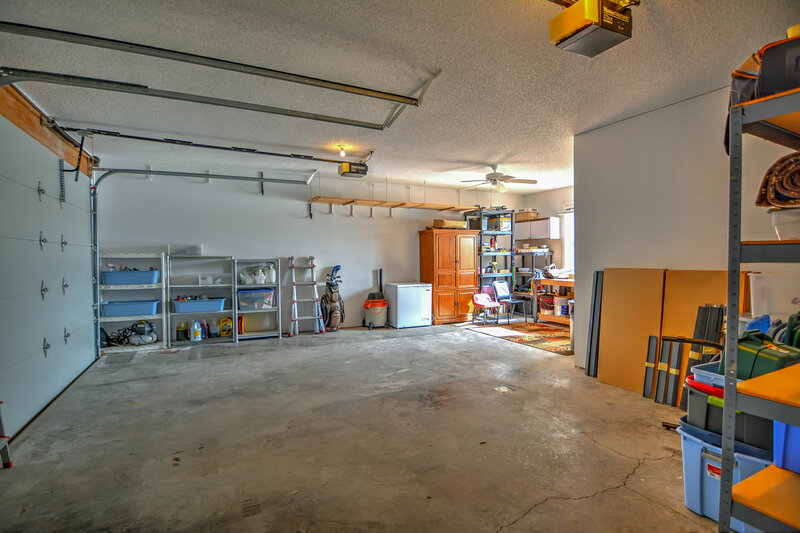 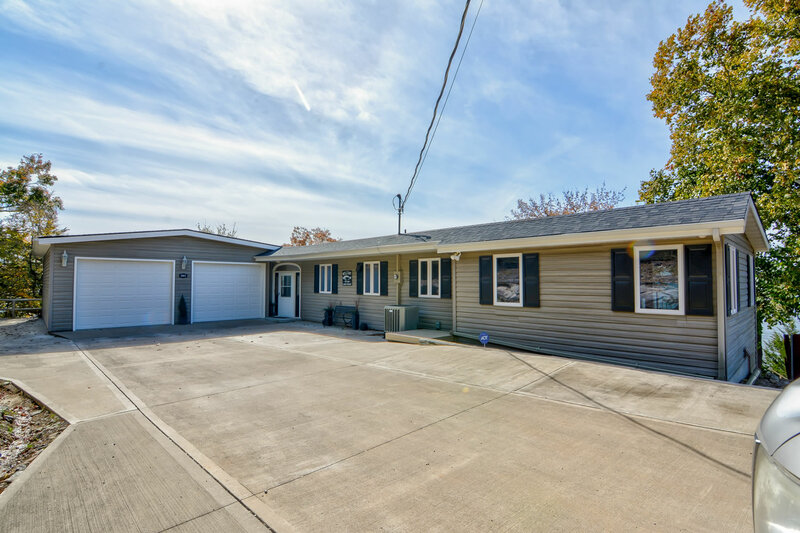 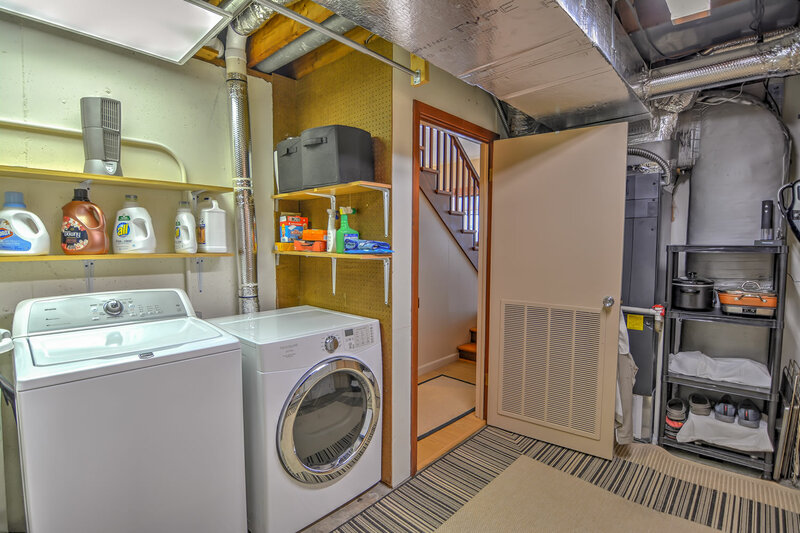 With 4 bedrooms, 3 garages, low maintenance yard, and updates including: newer kitchen, hvac, driveway, septic tank, roof, water heater, and more this is a value. 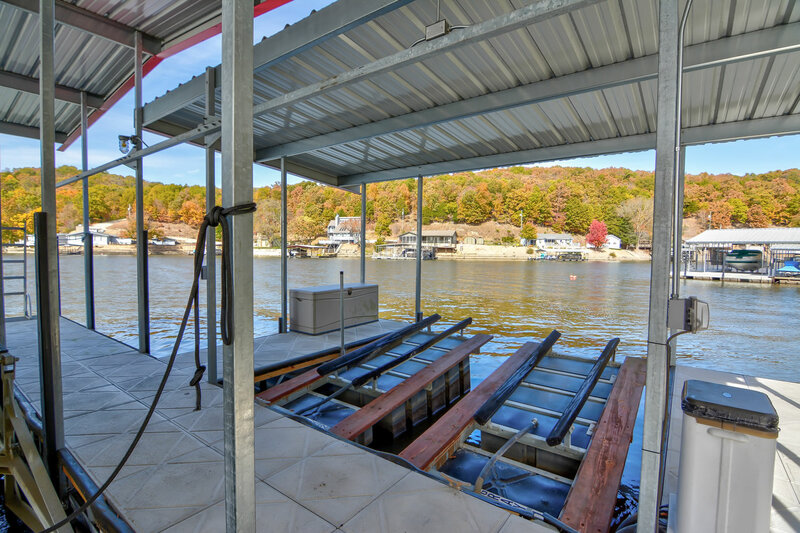 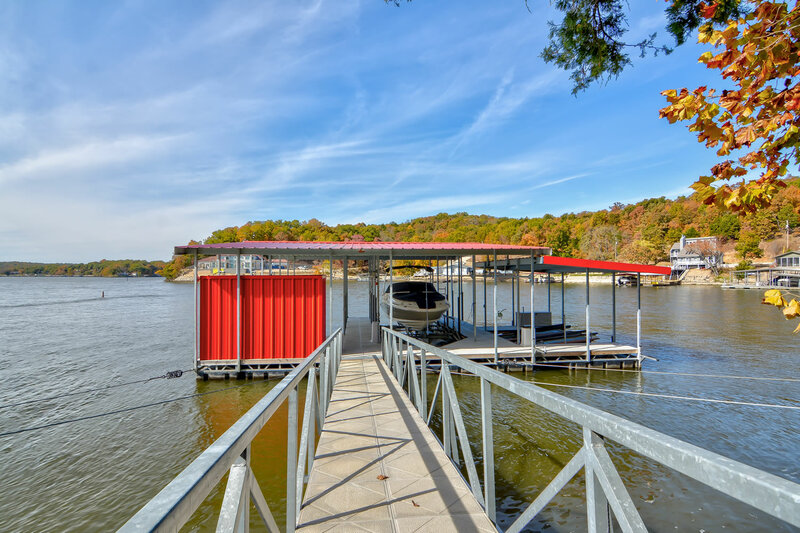 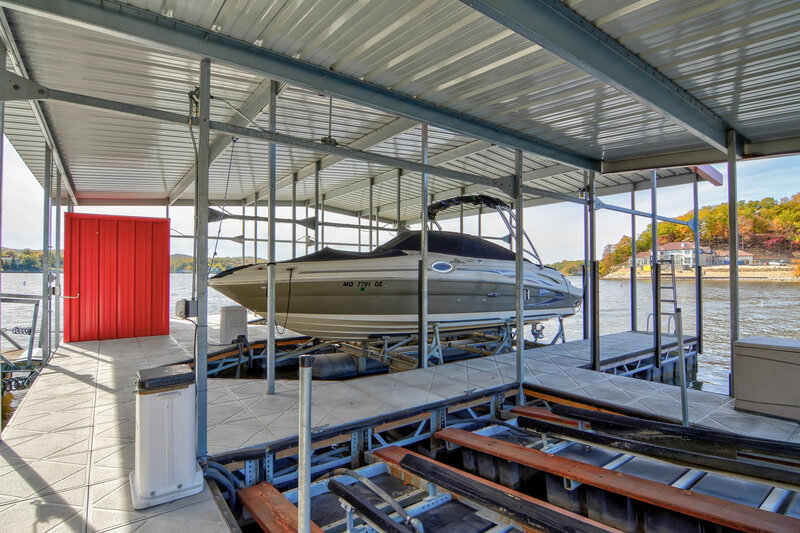 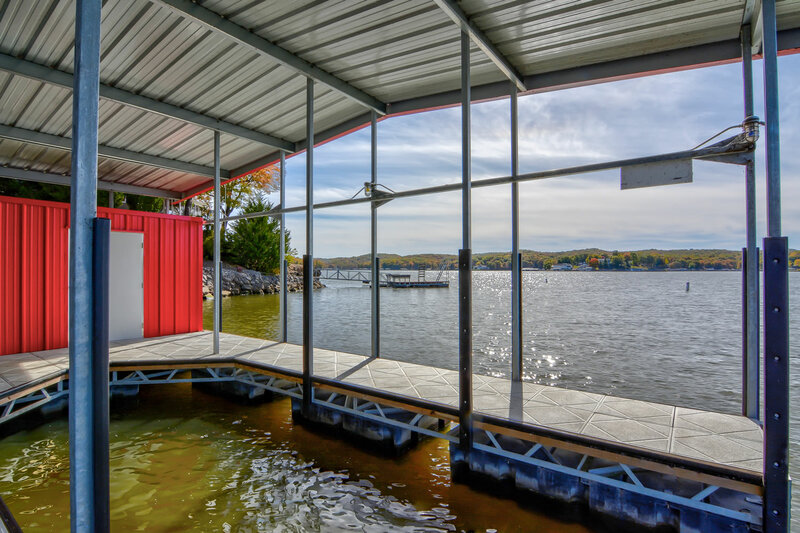 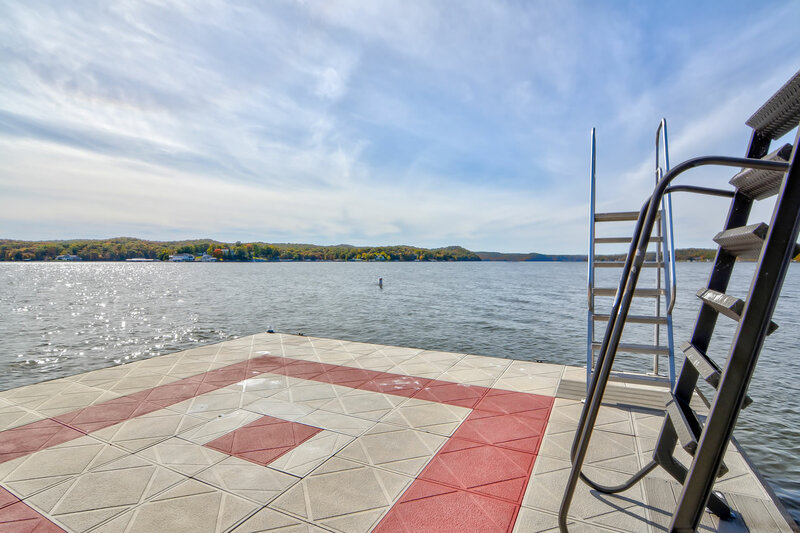 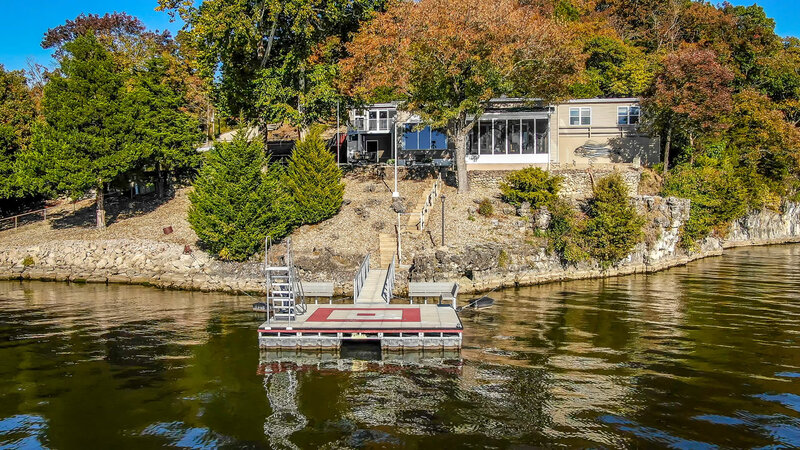 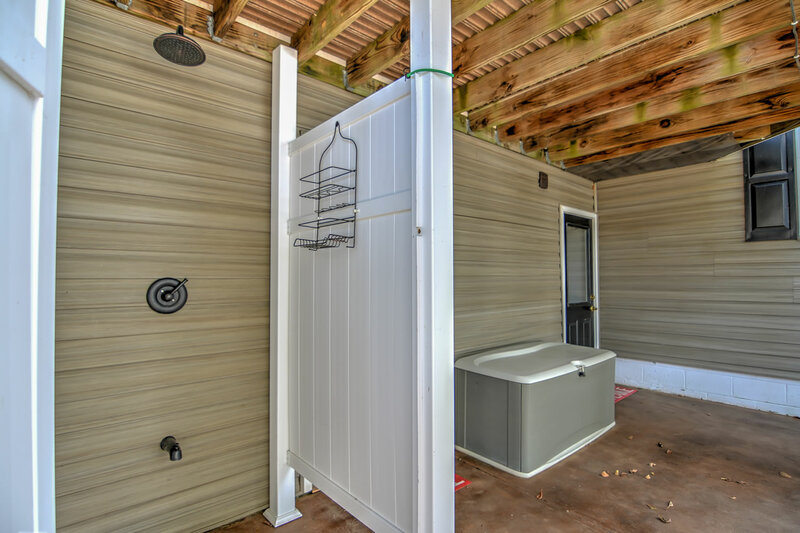 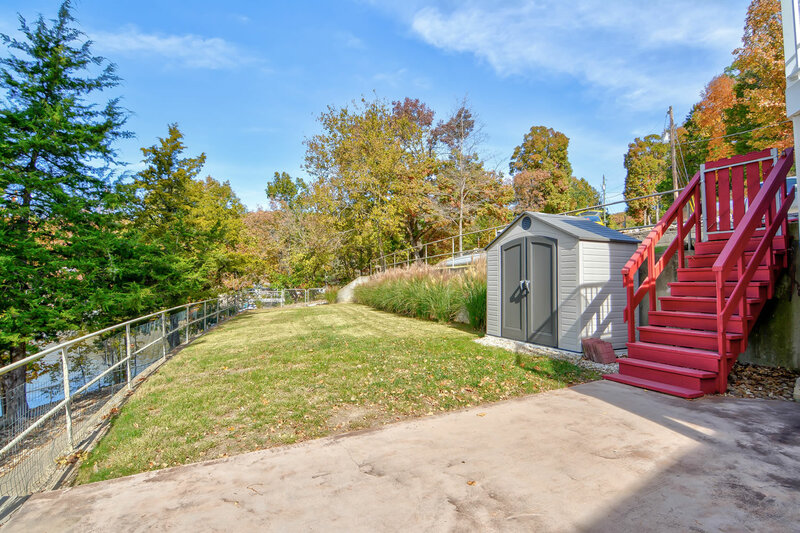 Wonderful heavy duty dock built by H&R docks as well as a 20’X20′ swim dock where countless hours have been spent swimming & jumping from your private cliff. 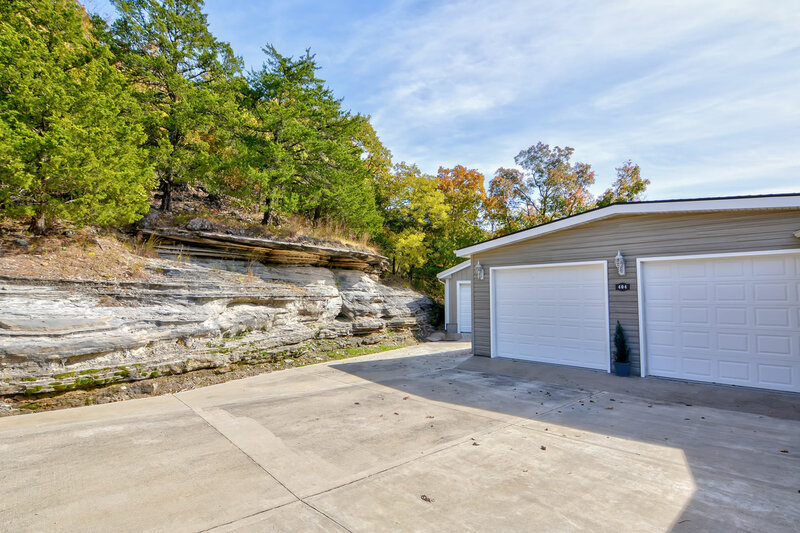 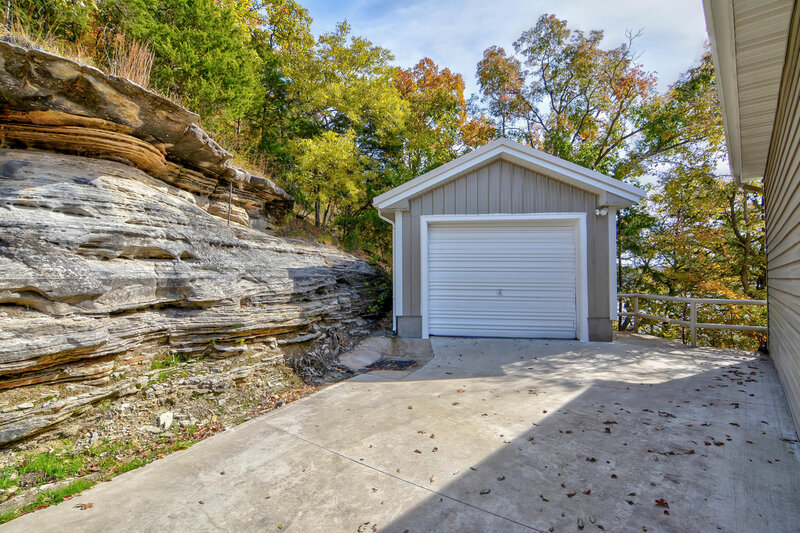 Beautiful rock formations in the front of the home, Co-Mo connect internet, rip rap, and just an overall awesome home. 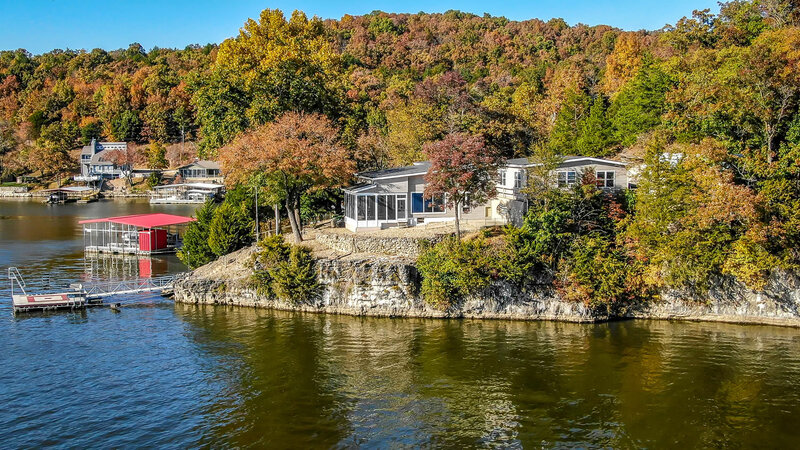 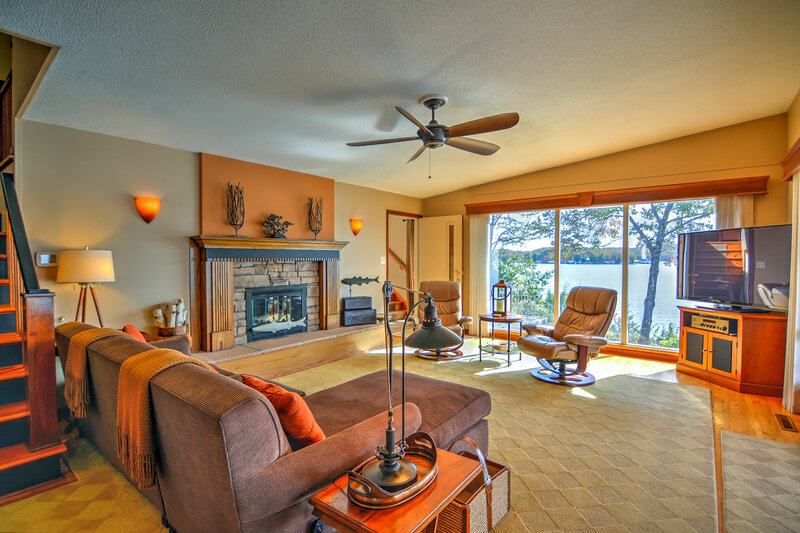 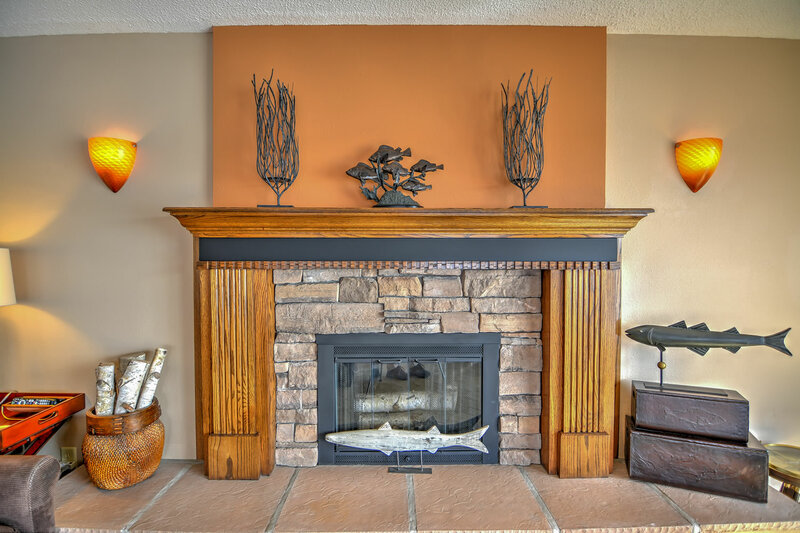 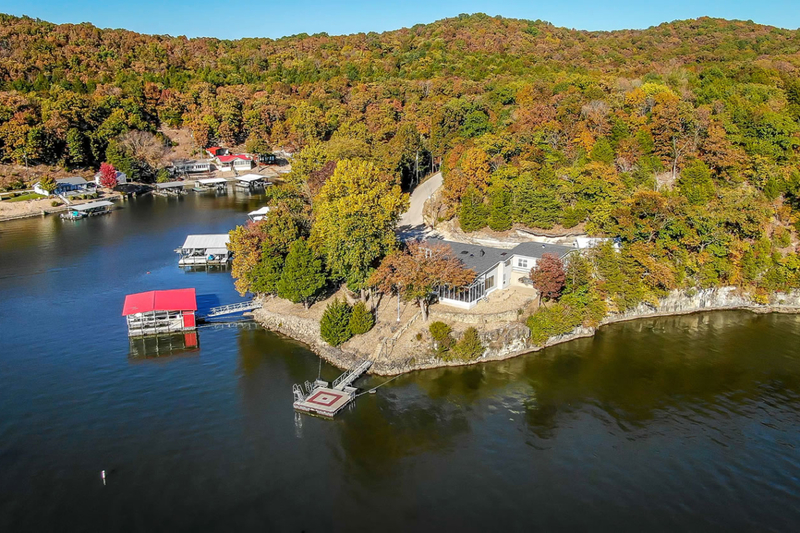 This is the unique lakefront retreat you want to buy & it is maintained to the standards of people you want to buy from. 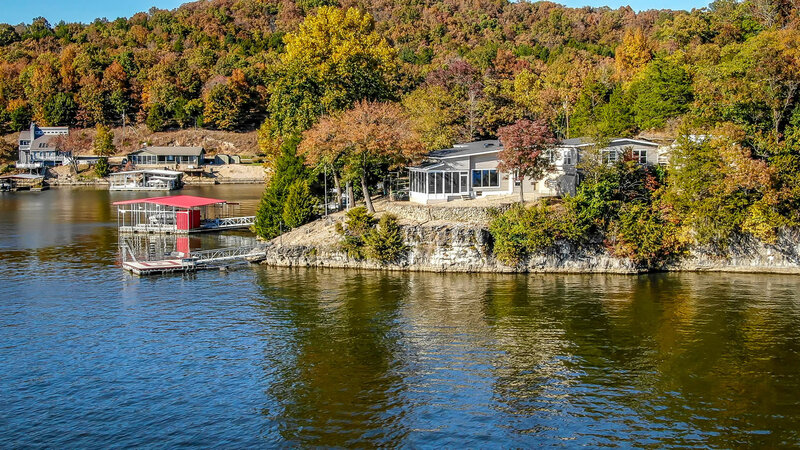 Directions: Hwy 5 to Hwy 135. 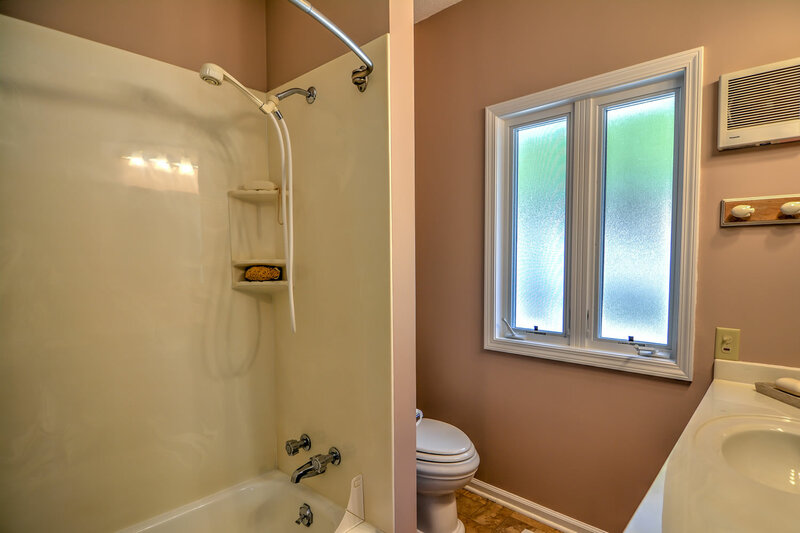 Take 135 to left on 135-3. 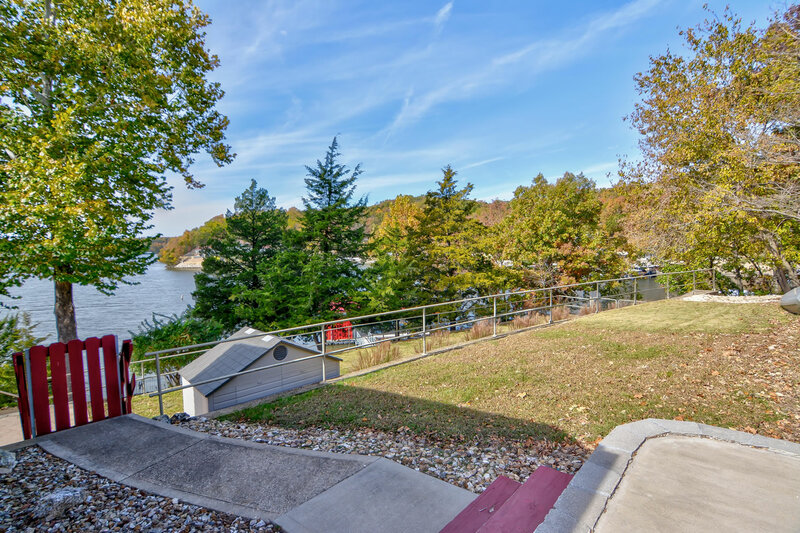 Turn left on Lake Trail Lane to right on Bluff Drive. 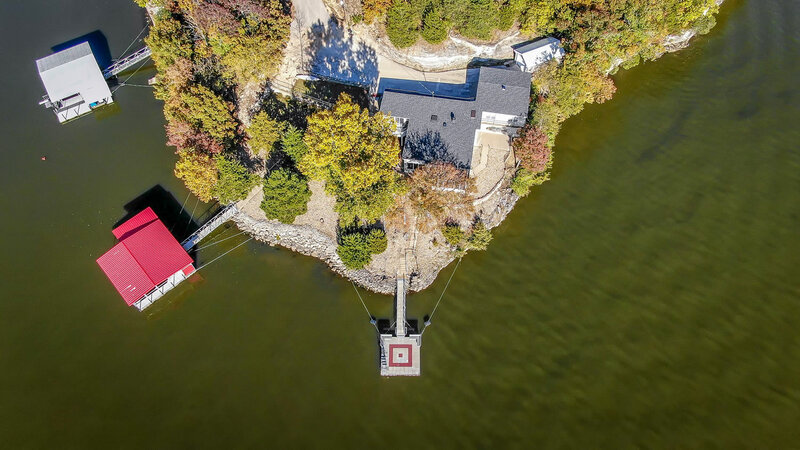 Stay right on Bluff to left on Skywater to right on Bronco Ln.